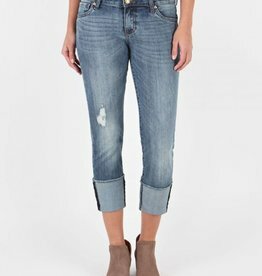 Reese Ankle Straight Leg With Fray Shadow Side (Transforming Wash). 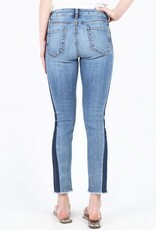 Mismatched denim adds a chic, on-trend vibe that will instantly update any look it is paired with. 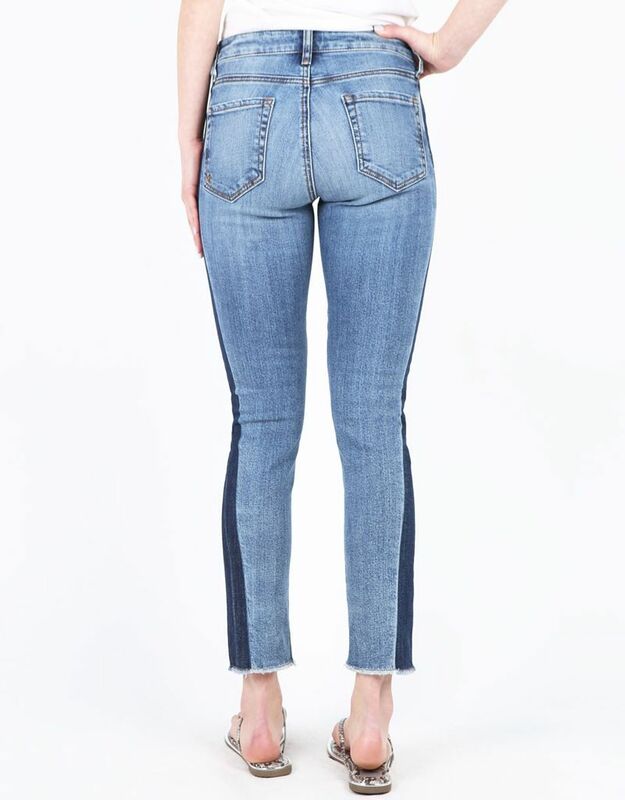 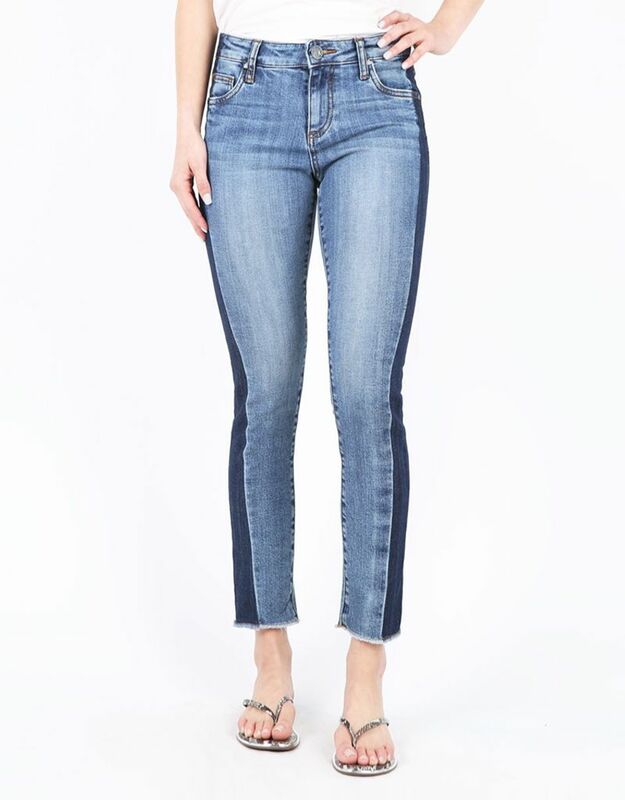 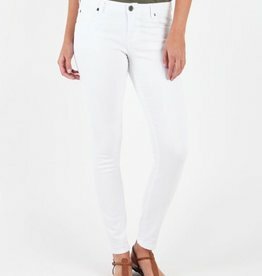 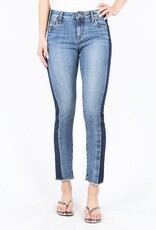 Cut from cotton, these straight leg jeans are comfortable and extremely stylish.